Amb. Nikki Haley Suggests US Leave United Nations: The American People Need To Decide If It's Worth It - Joe.My.God. 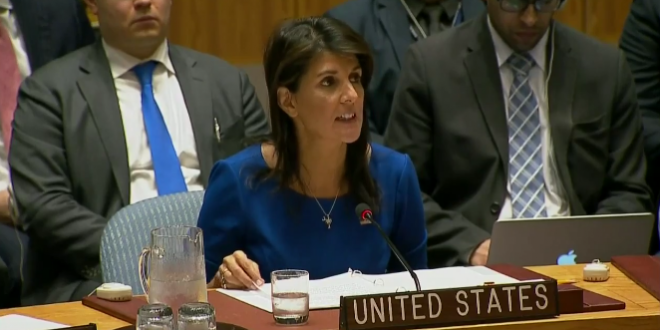 As Nikki Haley finishes her tenure this month, the woman who has spent the last two years representing the U.S. at the United Nations has a question for the American public: Should the U.S. remain a member? “The American people need to decide if it’s worth it,” she said in an interview with a small group of journalists this week. There is a lot of waste and abuse at the UN, she said, and it is often “politically unfair” to the U.S. and its allies.